Wednesday morning's commute was a difficult one for many in D.C. after a track fire just outside of Union Station. Metro, MARC and VRE trains in and out of Union Station were halted temporarily due to the fire on the tracks north of the station. Amtrak trains were also affected by the fire. Amtrak initially described the incident as an "overhead power issue." Amtrak spokeswoman Vernae Graham said the incident is under investigation. Amtrak told travelers to expect delays of 30 to 45 minutes throughout the morning rush hour. Maryland and Virginia transit officials told commuter train riders to expect significant delays. 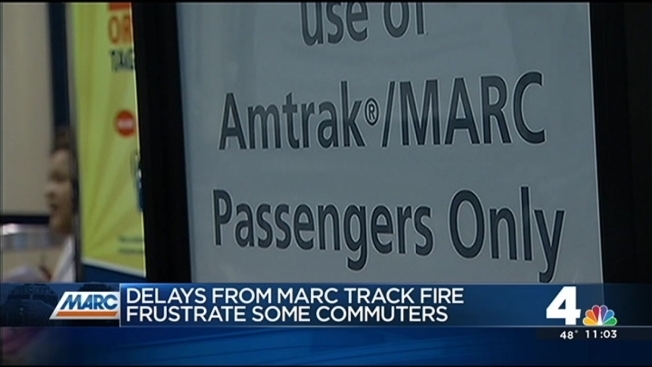 Two MARC commuter trains from Maryland were canceled.